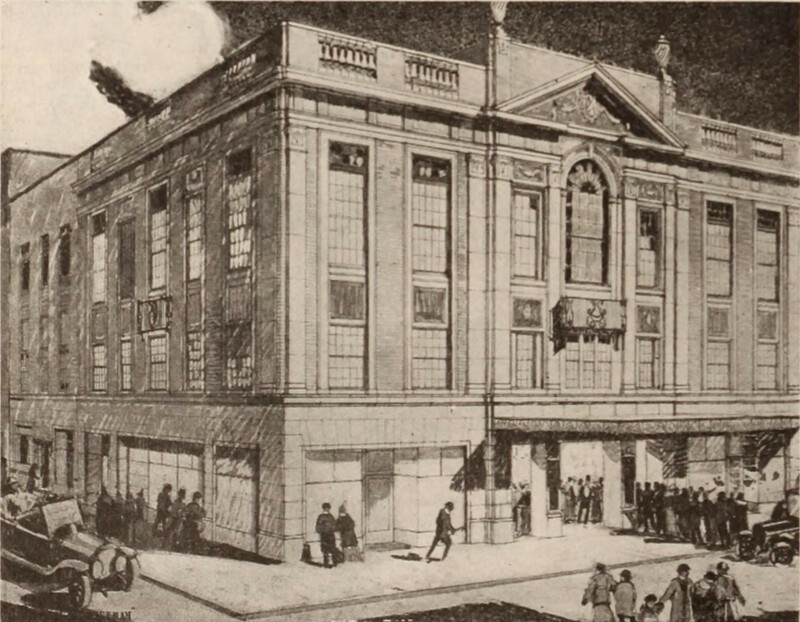 "More than two months ago Mr. [William] Fox completed plans for building a large theatre on Flatbush avenue, between Tilden avenue and Beverly road. Representatives of the Albemarle theatre at the same time were planning their Playhouse. In view of the fact that two large theatres were contemplated within such a short distance of each other, conferences were held between representatives of Mr. Fox and the Albemarle interests. After several meeting, a lease was signed, under which Fox Theatrical Enterprises gets control of the new Albemarle. Mr. Fox will finish the construction of the new building. The structure will be in the colonial style of architecture, and the interior will be in the Empire style. It will have a seating capacity of 3,500. The property has a frontage of 104 feet and a depth of 268 feet." On September 7, 1929, the Loew's Kings opened at 1027 Flatbush Avenue, between Tilden Avenue and Beverly Road. Seating capacity 3,676.